How my journey from 92Lb ultra-wimp to international competitor can help you to achieve fast results. You’ll see my journey (and accumulation of knowledge and experience in the time-line on these pages. I was very small and this was my motivation to start training. At 3rd year high school I was 33kg (72Lb). In my last year of high school I weighed 42kg (92Lb) and had started some training at that stage. Around 2007 I was experimenting more with my theories and mathematical analysis on the factors that influence muscle hypertrophy as well as in-depth research into nutrition. I was training more intensely than ever before, noting, as I had throughout my life, my sets, reps, and weights. I also started to question the impact on the variables in the training. Eventually, I started to wonder . . . . So WHAT IS THE TRADE-OFF BETWEEN ALL OF THESE? It was at that time (2007) that I was experimenting more with my theories and mathematical analysis on the factors that influence muscle hypertrophy as well as in-depth research into nutrition. And then it hit me – the SECRET to muscle growth . . . And the factors we’d been missing all these years . . .
We know that for STRENGTH, we need to lift heavy – it is a matter of using whatever fast-twitch muscle fibres we have as efficiently as possible.But for MUSCLE HYPERTROPHY (GROWTH) – the key is Work Capacity – how much work you can do in a period of time whilst placing the muscle under stress – and this is a factor of the structure of the entire muscle – all the factors that help it perform – this is the muscle system! 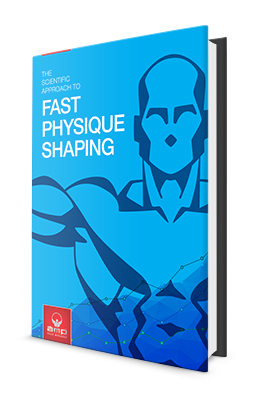 This is how the AMMP(™) algorithm evolved - providing the analysis of the key performance factors that lead to hypertrophy. The data was time-consuming to interpret, so I then added algorithms that analyse all your past performance data and work backwards (reverse-engineering) to effectively predict the ideal workout targets.